High up in the sky, sky, sky. Let's all say "Bye, bye." Fold them in your lap, lap, lap. Fold them on the floor floor floor. Actions -Open and close your hands when you sing "Open, shut them" and then follow the words to the song with the corresponding hand movements while you sing. On "do not let them in" hide your hands behind your back. 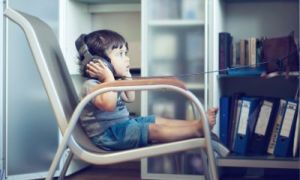 Help baby to identify animals and their sounds. 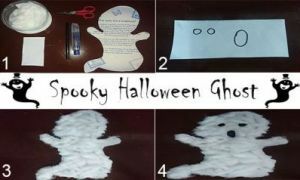 Create a spooky ghost using cotton balls for Halloween. 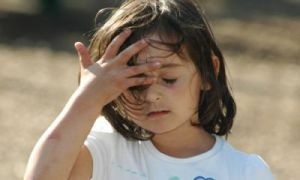 Children use memory, concentration and listening skills when playing this game.